With more than 1 billion closures sold annually around the world, DIAM Bouchage ranks as the leader in TCA free* cork manufacturer's for the wine industry and is engaged in all major wine-producing countries. 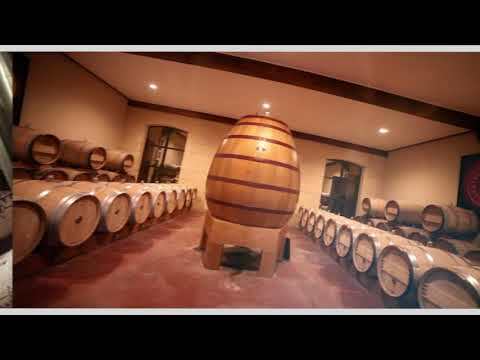 Diam Bouchage is part of Oeneo group, which included Seguin Moreau cooperage, DIAM Bouchage produces a range of technological corks for still wines, sparkling wines and spirits. As a leading innovator in developing effective wine closure solutions, DIAM Bouchage collaborates with some of the world's great viticulture institutions in both research and product development. DIAM provides a secure closure with huge performance benefits, allowing our clients to close their wines with confidence. We have concentrated our efforts on two real threats to the wine industry: closure consistency with adapted OTR (Oxygen Transfer Ratio) and absence of released TCA. Perfectly preserved aromas and flavours. Although supercritical CO2 technology was already being used in some industrial applications (decaffeination, nicotine extraction from tobacco, etc. 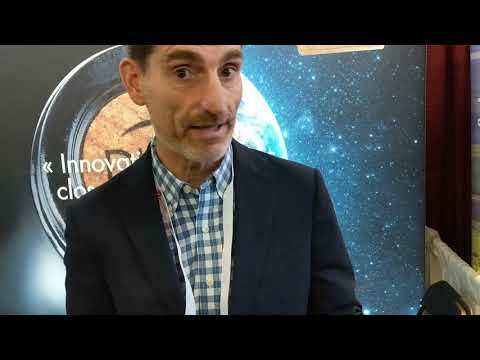 ), it took 7 years of joint research with the CEA (French Atomic Energy Commission) before it could be applied to cork, thus giving rise to DIAMANT® technology, a proprietary cork taint removal process. 0.5 ng/l). The sensory purity and neutrality of Diam® closures protect all the wine's subtlest notes. Total control over the way wine evolves. Customised, tested permeability: Every wine has its own permeability requirements and nobody knows how much oxygen a wine needs better than the winemaker. The different versions of Diam® closures, give you total control over oxygen transfer and guarantees its constancy for the entire life of the wine in the bottle. 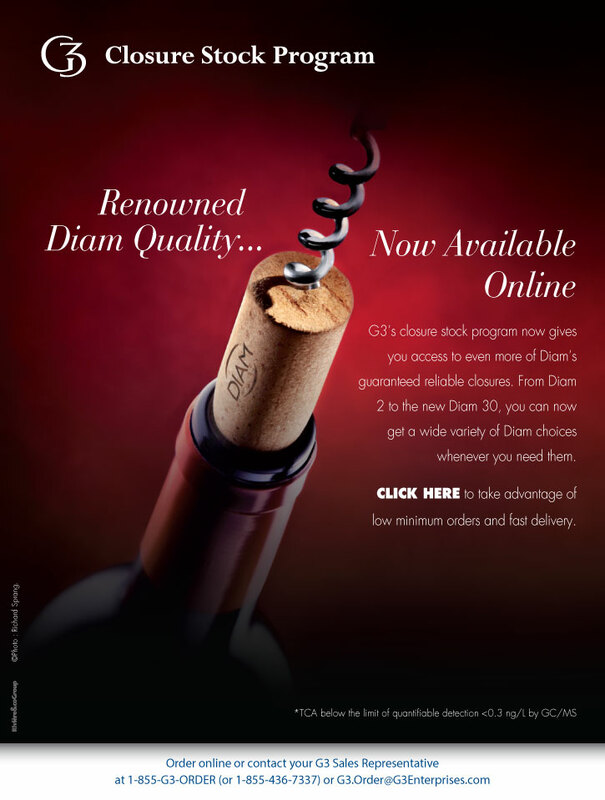 Consistency: The Diam® manufacturing process delivers perfectly consistent technical performance from one cork to the next. This provides smooth application at bottling, eliminates dust, suspended particles as well as leaking, seeping bottles and rising moisture. This consistency also has an impact on the way the wine evolves in the bottle: compared to other closures, Diam® provides the most even ageing in 5-year old wines from bottle to bottle (Aust. Wine Research Institute 2002 study). Experience wine the way it was meant to be. 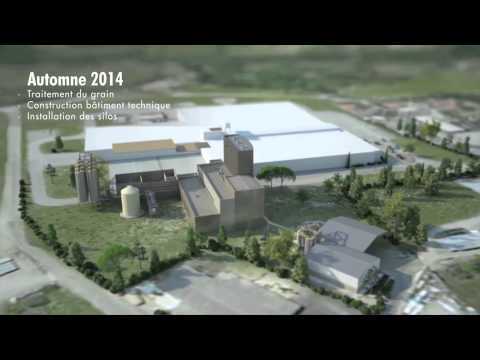 New production facility for Diam in France. Francois Margot gives an introduction to Origine by Diam at the WIN Expo. Get a quick understanding of Diam! From Cork Forest to Diam, see how we designed the best suited closure for your wine. Discover the beautiful cork forest during the harvest. Last year Diam launched the all natural Diam Origine 10 and 30 made with beeswax, which like the classic Diam goes through the Diamant process that disinfect the cork to create a consistent TCA free closure with a reliable oxygen transfer rate. This year Diam added Origine 5 for shorter aging wines, but more remarkably, they shared the discovery and subsequent research into the different evolution of wine sealed with Diam 10 classic and Diam 10 Origine. 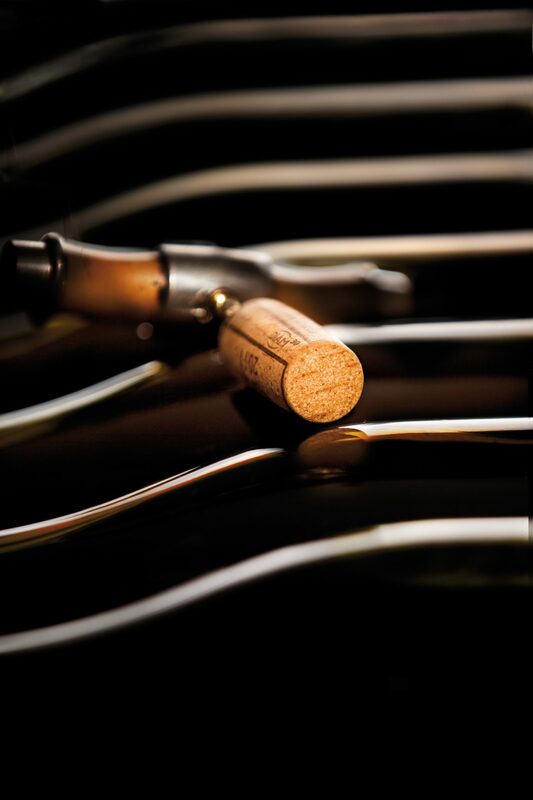 Diam’s research shows that there are two phases of oxygen from the cork that affects the wine; there’s the Oxygen Initial Release (OIR), which is determined by the amount of oxygen stored inside the cork and impacting the aromas’ development early on and up to six months after bottling. Then the Oxygen Transfer Rate, the speed of oxygen ingress over time, takes over and determines the wine evolution as it ages. Diam’s observations showed that the Origine 10 had a higher OIR than the Diam 10 Classic with the same OTR. This knowledge can be a helpful tool for winemakers to decide which closure to use depending on their early and long term ageing goals for the wine. An young release of Cabernet Sauvignon might benefit from a more rapid development early on combined with a slower development long term making the Diam Origine the right choice, while the same winemaker might want to preserve the crispness of his Sauvignon Blanc for longer and decide to go with Diam Classic for a lower OIR. 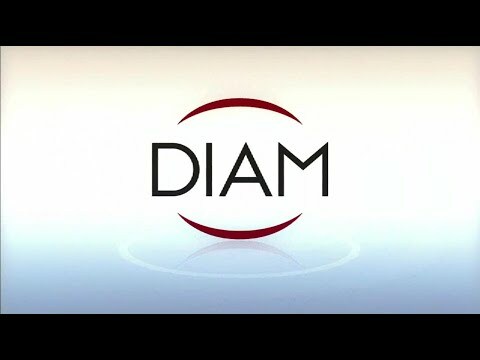 NAPA, Calif. (February 22, 2017) – Twelve years after launching its DIAMANT® technology, Diam Bouchage, a global leader in manufacturing technological corks, is once again ready to revolutionize the wine packaging world with Origine® by Diam, a new sustainable cork and major technological and environmental advancement. “This new innovation offers a natural sealing solution while maintaining the proven reliability of Diam Bouchage in terms of guaranteed no detectable TCA, consistency and oxygen control,” said Francois Margot, Diam Bouchage Sales Manager for North America. For years, Diam Bouchage’s Research & Development department has worked to develop new, environmentally-friendly products. Today, after several years of research on natural ingredients, Diam Bouchage offers Origine by Diam, made from cork, beeswax emulsion and 100% vegetable polyols. This new technology is the result of research combining permeability and natural ingredients, and it responds to the demand from premium customers to create more open permeability closures that maintain the long life needed for aging wines. Currently, Origine by Diam will be offered for Diam 10 and Diam 30 closures in the Diam range for still wines. In the near future, it will be extended to other closures offered by Diam Bouchage. Diam Bouchage, a French company located in the Pyrenees Orientales, annually produces and sells more than 1.5 billion closures. For more than 10 years, Diam has built its success on the revolutionary DIAMANT process that extracts TCA molecules* responsible for cork taint, as well as other molecules that can affect the taste of wine. 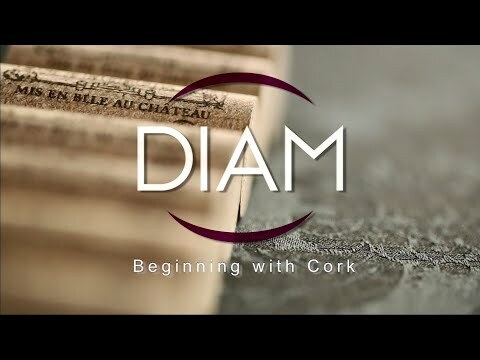 DIAM Bouchage (“DIAM”) is a leader in the manufacturing of technological corks, offering a guarantee of closures with no detectable TCA, thereby assuring absolute consistency cork to cork. DIAM offers corks with different levels of oxygen transmission rates. Using CO2 via its DIAMANT process, over 150 compounds are removed from each cork, eliminating the risk of “cork taint.” Final printing, coating and distribution of DIAM corks are done in the U.S. by its exclusive distributor, G3 Enterprises, Inc. (“G3”). G3’s Closure Division in Modesto, California meets the world's most stringent environmental, ethical and economic sourcing standards with Forest Stewardship Council® Chain-of-Custody (FSC® CoC) certification. DIAM FSC® Certified corks can be produced on request. For more information, visit: http://www.diam-closures.com/. MODESTO, Calif. (July 23, 2015) To meet the growing demand of winemakers and winery owners around the world, Diam Bouchage has announced the opening of a new plant in the PyrÃ©nÃ©es-Orientales, adjacent to the company's main office in France. Earlier this year, G3 Enterprises, the sole distributor of all Diam products in the United States Canada and Mexico, announced the completion of a series of upgrades to its cork room to boost its capacity to produce high-quality Diam closures. Improvements made to G3's cork room included the addition of five new single head printers which have the ability to print over one million corks per day. Also, a new coater was added to improve application consistency and efficiency. With the upgrades, G3 can now handle a batch range from 6,000 to 20,000 corks; improve coating application; ensure appropriate coating quantity; and reduce potential for mixed cork. All the work is performed in a controlled processing room at 68 degrees Fahrenheit. We are proud to represent Diam products. The closures are perfect for the wine market to safeguard wine and to assure a consistent aging process, said Mihailo Panovich, VP of Sales for G3 Enterprises. He added, Given Diam's cork technology and expertise, we are very confident in the product quality for our customers. New facility in France set to expand production capacity to 2 Billion Diam, one of the undisputed leaders in the wine enclosure industry, has experienced an explosive U.S. sales expansion, while planning for even greater capacity once its new production facility comes on line in France next year. 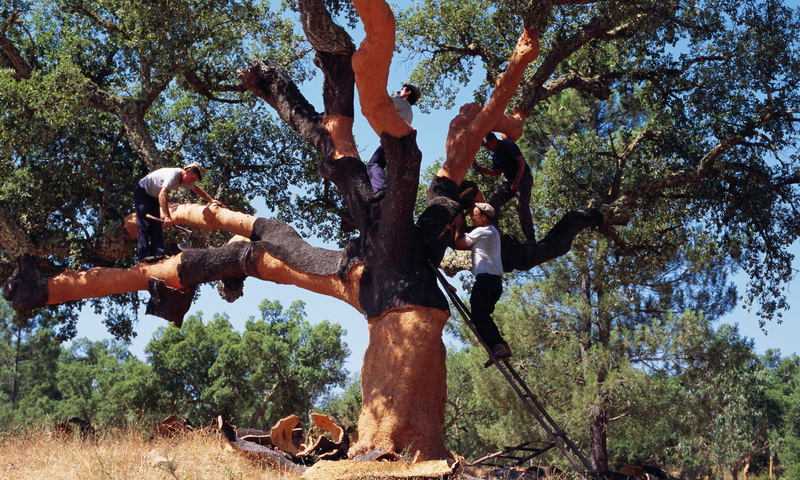 Diam is the creator of an innovative beverage closure system, which begins with the raw bark of a cork oak. The bark is crushed and filtered to remove woody materials and then, through the Diamant procedure utilizing CO2, the compounds responsible for sensory deviations in wine, including trichloroanisole, (TCA) are extracted. Margot points out that it is consistency “from bottle to bottle” that has excited winemakers around the globe and is responsible for doubling Diam’s market share in the U.S over the last two years. “We’ve seen an increasing number of wineries convert their entire production to Diam closures,” says Margot. The company, which also makes closures for sparkling wine (Mytik) and spirits (Altop), has created a product for wine that can control oxygen transmission at three different levels; medium OTR (oxygen transfer rate) low OTR and very low OTR. This allows the winemaker to choose the closure that will fit the evolution of the wine. Their latest innovation, Diam 30, has a mechanical guarantee to remain elastic enough to preserve wine for at least 30 years. DIAM’s Spanish factories in San Vicente de Alcántara can churn out nearly 1.3 billion cork-product enclosures each year, and when the French facility in Céret is fully operational next June, capacity is expected to reach 2 billion closures. Diam partners with G3 Enterprises, a leading packaging and logistics provider for the wine, spirits, microbrew and specialty food industries, in providing best customer services to wineries in North America. G3 finishes and prints Diam corks at its Modesto plant. “G3 has been a great partner. Their sales force and technical services are very strong. This allows us to focus on making quality products while G3 builds strong front relationships and supports our customers,” concluded Margot. Diam Order: The DIAM® products described on this website are not available for direct purchase in the following states: AL, AR, CO, CT, DE, DC, FL, GA, IL, IN, KS, KY, LA, ME, MD, MA, MI, MN, MS, MO, NE, NH, NJ, NM, NY, NC, ND, OH, OK, PA, RI, SC, SD, TN, VT, VA, WV, and WI. Anyone from the aforementioned states interested in purchasing a DIAM® product should contact a Customer Service Representative at g3.order@g3enterprises.com for more information. With over one billion closures sold every year, Diam Bouchage must rise to the challenge of an even greater increase in demand today. The company decided to build a third cork processing plant and chose its French site in Cérêt in order to increase production capacity and achieve its objective of doubling sales by 2018. A 3D film has been made to illustrate the project, construction of which began in January 2014. MODESTO, Calif. (Janurary 14, 2014) – The new Diam 30, the world’s most advanced cork closure with the ability to last more than thirty years, will make its U.S. debut later this month at the Unified Wine and Grape Symposium in Sacramento. Based on independent laboratory accelerated aging studies, the Diam 30 far surpasses the lifetime of natural corks. 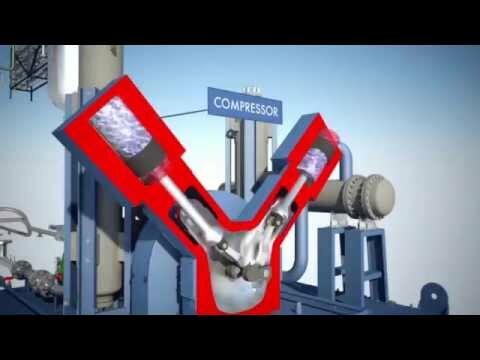 “The Diam 30 is a new addition to our Diam range of closures and one of the most exciting developments in our industry. This innovation will help wineries avoid delicate, risky re-corking procedures after 20 years of cellaring,” said Dominique Tourneix, CEO Diam Bouchage. The closure was developed for high-end wines by Diam Bouchage after years of research. Diam 30 has one of the lowest permeability rates of any closure on the market with a controlled oxygen intake. Its manufacturing process guarantees absolute consistency from one closure to another which assures winemakers a slow, consistent aging process throughout the wine’s entire cellaring period. In addition, the patented DIAMANT® process insures every Diam 30 closure will guarantee no cork TCA* and guard against many other molecules which result in off aromas or flavors. Diam 30 will be presented at the Diam booth #317 at the Unified Wine & Grape Symposium in Sacramento, California. Diam Bouchage is a leader in manufacturing technological corks including Diam for still wines, Mytik for sparkling wines and Altop for spirits. Each year, the company sells more than one billion closures around the world. G3 Enterprises, a leading packaging and logistics company for wine and spirits, is the sole distributor of Diam 30 and all Diam products in the United States. Diam Bouchage manufactures and markets technological cork closures for still wines (Diam), sparkling wines (Mytik) and spirits (Altop). A leader in the manufacturing of technological corks, Diam Bouchage is a subsidiary of Oeneo, a group dedicated to serving the wine industry. *TCA below the limit of qualifiable detection (<0.3 ng/L by GC/MS). Located in California to Meet Wine Industry’s Growing Cork Demand DIAM, one of the world’s leading wine closure companies, has named François Margot as the export manager for North America. Margot, who also serves as the DIAM export manager for China and Japan, is residing in California to better serve the region’s wine industry and strengthen his company’s presence in the United States. G3, a leading packaging and logistics company for wine and spirits, is the sole distributor of DIAM products in the United States. DIAMANT Supercritical CO2 process is the patented technology by which raw, natural cork is cleaned and the optimal amount of taints and 150+ compounds from corkwood are removed, resulting in closures with TCA below the quantifiable detection of 0.3ng/L. DIAM provides clients an innovative and consistent solution for their wines by guaranteeing a technological cork free of TCA taint, for still and sparkling wine corks as well as DIAM-based bar top for liquor and spirits. Established in 1939 by an exiled Spanish journalist, the cork producer Oeneo has been through rocky times. But as Rebecca Gibb reports, it is now recovering some of its former strength. Corks are popping at Oeneo, the company behind Diam closures, as another Champagne house, G.H.Mumm, joins the growing number of producers in the region moving away from natural cork. With an estimated one in six Champagne bottles now sealed with the technical closure, the French-owned company has come a long way since setting up as a natural cork producer at the end of the Spanish Civil War. In 1960, Modest was joined by his eldest son, Augustin, and his three brothers, and the family business grew to become one of France’s leading cork producers. With growing concern about cork taint, the family patented a new cleaning process for cork and in 1995 they launched a hybrid part-natural, part-artificial cork named Altec. It was a huge success. By 2001, Sabaté had sold 2.5 billion Altec corks and half the company had been floated on the stock market during the dot.com boom. The same year, however, the company's foundations were rocked by a public relations nightmare. Sabaté had promised that its Altec corks were free of the cork taint caused by a number of compounds, including 2,4,6-trichloroanisole or TCA. These taint compounds are produced by fungi naturally present in cork, or which have grown on the cork during its processing. Despite Sabaté's claims, a growing number of disgruntled wineries were complaining that they were experiencing taint issues with Altec corks. A Wine Spectator report uncovered the problems and an international media circus ensued. In 2002, Modest’s grandson, Marc, stepped down from the company, ending the family's involvement with Sabaté. Renamed Oeneo, the firm today is largely owned by Andromède, the holding group of the Cognac and spirits producer Rémy Martin. Other shareholders include an asset management firm, Amiral Gestion, and the financial services company Crédit Suisse. With Altec corks tarnished by the scandal, Oeneo looked towards a new and improved closure. In 2004, it launched a TCA-free technical cork – Diamant – a project the Sabaté family had initiated in 1997. It is made from cork bark, but the firm uses a process which eradicates TCA. Even gas chromatography machines, which identify TCA at two parts per trillion – a level far more sensitive than the human nose – cannot find any trace of the compound after treatment. Called the "supercritical" process, this revolutionary method is also used to decaffeinate coffee and to dry-clean contaminated military clothing. Oeneo uses the process to rid corks of all traceable levels of TCA and other undesirable compounds that can make wines seem less fresh than they ought to be. The cork granules are cleaned using carbon dioxide (CO2) that is compressed to the point where it has the properties of both a gas and a liquid. This is the supercritical state in which the CO2 extracts the TCA-causing molecules from the granules. Two hours and 35,000 kilograms of CO2 later, 500kg of clean granules are ready to be baked into corks. Unlike natural cork granules, they have no smell. The granules are formed into corks with a binding agent – microspheres – which fill any gaps between them. The lowest grade of Diam has larger granules and more microspheres, which result in a faster rate of oxygen transmission and more rapid development in bottle. While unwelcome for fine wines, this faster aging is acceptable for wines that are expected to be drunk more quickly. © David Sanz Hernandez | Oeneo eradicates cork taint at its Diam factory using the "supercritical" process. The wine world clearly likes these stoppers. Between 2008 and 2011, Diam production increased to one billion stoppers, and in the last three years Oeneo has spent 20 million euros ($26m) improving and expanding its production facilities. Di Saizieu puts the cost of this expansion at 40 to 50 million euros ($51–$64m), funded by shareholders. The Diam closures are replacing an improved version of the Altec corks, now renamed "Reference." By treating with steam, the Reference corks promise an 80 percent reduction in TCA, but there's no guarantee that it has been totally eradicated. “We do have some markets that are not sensitive to TCA who use the Reference, like the beer market,” reports di Saizieu. Oeneo estimates that three in 10 bottles of Burgundy are bottled under Diam and one in six of Champagne – a figure backed by the Comité Interprofessionnel du Vin de Champagne (CIVC). Many producers have moved towards cork alternatives not only because of cork taint, but also because Diam closures are consistent in their quality – unlike natural corks which vary. Each Diam closure comes with a guarantee, ranging from 2 to 15 years. Producers making a supermarket, drink-nowsauvignon blanc might opt for the two-year guarantee, while those producing high-end reds designed for cellaring would more likely opt for 10 or 15 years. Winemakers can also choose the permeability of each cork. “The Diam 5 has two different permeabilities," explains di Saizieu. "In Burgundy, with pinot noir, you might want a tight closure, but with American wines, producers might want something a bit more open." One frequently mentioned criticism of Diam is that the closures don't look like traditional corks. Despite the number of bottles spoiled by natural corks, many consumers are still wedded to the real thing, particularly for high-end red wines. But Saizieu reports that in reality, most can't tell the two apart. Despite the results of this trial, the company still felt compelled to manufacture a range of corks printed with a fake growth pattern to appease traditionalists. In the early 2000s, at the height of its success, Oeneo (then still named Sabaté) boasted revenues of 202 million euros ($261m). This figure fell to less than 163 million euros ($211m) at the end of 2004. The company's latest annual results show it has not yet fully recovered from the Altec fallout, with profits reaching just 142.5 million euros in 2010–11. But despite the overall drop, the closure division, Diam Bouchage (the company also has a barrel division), saw growth of more than 10 percent in 2010, suggesting that wine producers are putting their trust in its closures. Di Saizieu claims there are now 100-euro ($129) bottles of wine sealed under Diam, and the news that so many producers in Champagne have adopted it means the company is once more starting to shine. 1939: Modest Sabaté establishes cork production company in Roussillon, France. 1960: Modest’s sons join the business. 1986: Sabaté acquires Spanish cork producer, Corchos de Merida. Modest dies. 1994: Company launches its first public offering on Parisian unlisted securities market. 2000: Sabaté and barrel company Diosos merge to form Sabaté Diosos. 2002: Modest’s grandson, Marc Sabaté, steps down from the company, ending the family's involvement. 2003: Sabaté Diosos changes its name to Oeneo. Cork is a noble material and a well-preserved ecosystem, at the heart of a sustainable economy. Cork oak forests are a biotope specific to the westernMediterraneanand southern Atlantic seaboard. The cork closure industry participates actively to maintain this ecosystem and, on a wider scale, the economies of the regions involved. Unlike alternative closure solutions, cork does not require huge amounts of energy to clean it and turn it into bottle closures. CO2, an inert, odourless, colourless and tasteless gas occurring abundantly in nature is the mainstay of the Diam® cork manufacturing process. To produce Diam® corks, it is used in a closed circuit (CO2 is recycled after undergoing purification). It does not react with foodstuffs or produce contaminating by-products. All these elements make supercritical CO2 processing a clean technology. In addition, thanks to its bacteriostatic and antifungal properties, supercritical CO2 eliminates the need to wash cork with peroxide, thereby preserving the natural colour of cork and satisfying discerning users' environmental concerns. Approved carbon budget: In 2004, Diam® was the first closure to undertake a carbon footprint in partnership with ADEME (the French Energy Performance Agency). This system aims at measuring the direct or induced greenhouse gas emission in order to optimise energy usage during manufacturing. From 2006 to 2008, Diam® reduced its overall carbon footprint by 12% and today implements an ongoing improvement process.